An ACDelco GM Original Equipment Engine Oil Pressure Sensor provides anelectrical oil pressure signal to the engine control module, and is a GM-recommended replacement for your vehicle's original component. It measures theoil pressure in your vehicle's engine and will alert you through the oilpressure gauge or warning lamp if the oil pressure falls below the specifiedpressure. 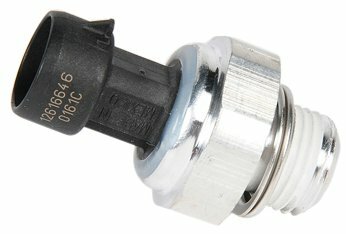 This original equipment engine oil pressure sensor has beenmanufactured to fit your specific GM vehicle, providing the same performance,durability, and service life you expect from General Motors.